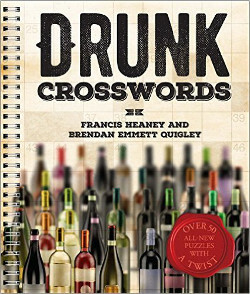 If you recall, a few weeks back I'd asked the BEQ.com faithful to see if they could fill the role of "Crossword Muse," by sending me suggestions for titles for future puzzles. Well, it took a while (mostly because a couple two three puzzles had to run first), but we're finally here. 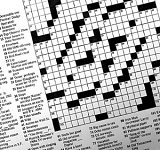 Our "Crossword Muse" contest winner, Jim Curran's suggestion of "A-Holes" is now a puzzle. Hurray! And we thought this day would never come. Folks who are already American Values puzzle subscribers have in their inboxes my latest tour de force waiting for them. It's a contest, so get on it while you still can. Winners can get an exension of their AV subscriptions. Oh, and it's no coincidence that the puzzle is based kinda sorta on a Marching Bands gimmick. I planned it that way. All the better to advertise the soon-to-be-launching Marching Bands puzzles. May 4th people, it begins! Backers are still pouring in over at the Kickstarter page, so if you'd like to get in and get some bundled bonuses while you're at it, hit it up.